I hope I’m not reposting this drawing. I have a few that I haven’t posted to my blog. More drawings are coming though:) I like the pose with his tongue hanging out, but 3/4 poses are so hard to draw. I think it’s because of the eyes. 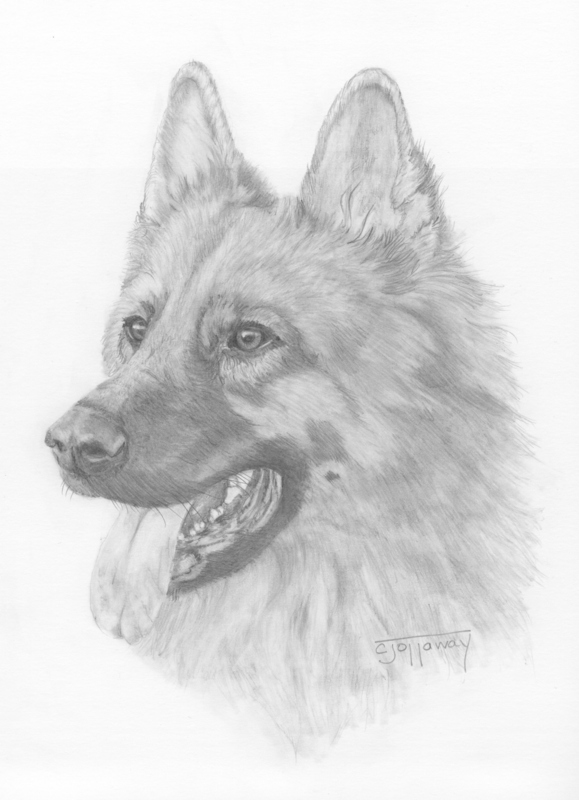 He looks rather regal and he definitely looks better than my first drawing of a German Shepherd. I would love to post more, but my head is splitting in two for some reason. So I think this is about it for today. I haven’t seen it before, he looks wonderful. I hope your head is better!